Orion Telescopes and Binoculars offer a large selection of telescopes and binoculars for astronomy, long range terrestrial observation and for general uses including birding, hunting, travel and wildlife observation. 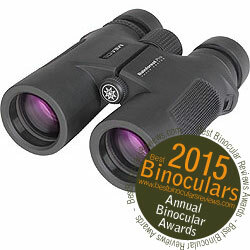 As well as their own brand of scopes and binoculars, they also stock and sell a number of other brand as well. The company is well established (started operation in 1975) and well respected amongst the optics retail community. Their direct sales to the customer approach means that they can keep prices down and they offer free shipping on many of their products.